In the fourth most populated nation on the planet over half of the 270 million people are under 30 years old. Ambitious, entrepreneurial with strong family values, we are seeing the emergence of a middle class in Indonesia that exemplifies the unique family bonds that bind people of many ethnic backgrounds together across the most beautiful archipelago on Earth. Indonesia is the regions only member of the G20 and is a unique, diverse culture and market that leads ASEAN with a rich and independent heritage. An economy that has ridden the tsunami of the global financial crisis of 2008, Indonesia has emerged as one of the strongest economies in the world today with a GDP of over US$800 billion. Yet, Indonesia still has approximately one hundred million people who cannot, or do not, access financial services of any kind across this vast and diverse economy. Both regulation and innovation are alive and well in Indonesia. Innovation through banks, mobile network operators and handset manufacturers such as Blackberry, aims to reverse this ‘financially excluded’ trend. Bank Indonesia has enabled the players, albeit it cautiously over the years, and is about to release guidelines built on input and learning from Indonesia and around the world that will allow the latest innovations to build upon the ecosystems that have been built up over the years. Innovations from microfinance players such as Bank Sinar’s pilot in Bali to numerous mobile payment start-ups such as mSaku, mobile money services such as T-Cash, Dompetku and XL Tunai to regional banks such as BPR KS. Many of these players have more advanced mobile banking ‘apps’ than many international banks around the world. Innovative solutions such as cardless withdrawals at ATMS - a relatively new concept in Europe and elsewhere - have been commonplace in Indonesia for years. Many of the ‘new’ mobile financial products around the world are business as usual here in Indonesia! Bank Indonesia has cautiously allowed innovation and now it looks like the pieces are beginning to fall into place. Mobile phones and mobile broadbands’ explosive growth is enabling more and more of these solutions across all spectrums of the economy and financial services. Increasingly, we see financial Inclusion at the heart of this innovation and this will continue to grow with the help of the office of the President of the Republic of Indonesia, Susilo Bambang Yudhoyono and his commitments under the G20 Financial Inclusion ‘Peer Learning Program’ and the launch of the G2012 Mexico Financial Inclusion Challenge: Innovative Solutions for Unlocking Access. Immediately, following this announcement in June last year Indonesia hosted the first “ASEAN Financial Inclusion Summit” where the Minister of Finance, Pak Agus D.W. Martowardojo delivered in his speech that ASEAN countries need to position financial inclusion front of center on the national agenda. Indonesia may be about to the benefit from this growth, which will help lay the foundation of payments for the next 20 years. An example is Bank Sinar in Bali who launched “Sinar Sip” a mobile banking solution designed for the under-banked in this market. Another recent deployment is led by Bank Andara, Indonesia’s first wholesale microfinance bank. “Andara Link” is a unique deployment of Visa technology that has enabled thousands of microfinance branches across Indonesia to pay bills and send and receive remittance and other mobile payments. m-Saku is a local mobile payments platform set up by Indonesian developers and Visa. 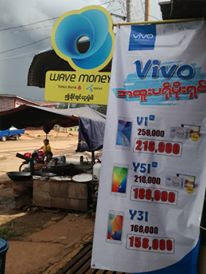 It allows Visa cardholders to top up their mobile phone, anytime, anywhere 24/7. 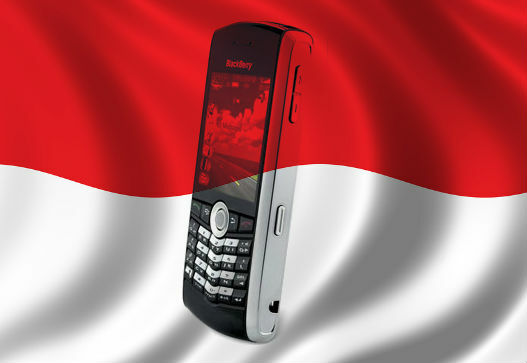 (www.m-saku.me) Blackberry has just announced its intention to enter the fray with Permata Bank. Its ‘Blackberry money transfer’ is bound to generate interest and visibility, but can it stem the Samsung tide? The Mobile Network Operators have launched mobile money services over the past four years and whilst e-money regulation is in place, mobile money still faces regulatory hurdles and branchless banking restrictions currently require strict “Know Your Customer” rules to be followed. Whilst a growing number of banks & mobile operators deliver bank grade security, reliability and connection to the various networks, the operators have yet to get the chance to really address the technical and regulatory issues imposed upon the industry. These “closed loop” deployments have been allowed to test the waters but have not been empowered to achieve scale, even though they have so far been ‘accepted’ by the consumer. The industry has been preparing for this amazing opportunity to deliver to the unique needs of the unbanked and under-banked consumers in developing countries. Timing is everything and after the last year I have spent travelling to Indonesia I am excited at Bank Indonesia’s Deputy Governor, Pungky Wibowo announcement that Bank Indonesia (BI) will soon issue its long-awaited guideline for branchless banking. The guidelines once issued, will be reviewed in December to determine whether or not it can be fully applied as a Bank Indonesia regulation. The focus will be ‘security, technology, risk management and other related issues’. Once the guideline is issued, BI have said that the prospective branchless banking operators would have to register their services to have their readiness assessed by the regulator. The time is right. Established players, domestic and international are coming together to enable the banks, mobile operators and consumers the opportunity to partake in a mobile and interoperable ecosystem that has been tried and tested globally over many years. New mobile-based solution will continue to offer the benefits of closed-loop payments (cash-in/out, person to person transfers, bill payment) while at the same time providing consumers a payment account that offers global acceptance and standards of security & reliability that will ensure mobile financial services are “future proofed”. Bank Indonesia has consulted widely and has taken input from its world class local and international partners, researched global references cases and combined this with local knowledge and listened to consumer demand. Serious investment is required to allow the regulatory framework to evolve towards branchless banking and BI and Indonesia’s government has put in the necessary work to do so. The provision of Branchless Banking services by banks and mobile operators will allow non-banks to accept consumer’s deposits to their mobile money and mobile bank accounts. By deploying this proven technology under appropriate supervision, every city, town and village across the country can be brought into the financial ecosystem. Bank Indonesia, which has so successfully managed the economy throughout the GFC, is working hard to combine the success stories and regulatory lessons of mobile money in Kenya, Brazil and Mexico to deliver regulations for the complex Indonesian market place and this is no mean feat. The respective moons of regulation, technology, financial inclusion and consumer demand are aligning in this market. Indonesia will continue to see inclusive mobile financial solutions being developed that will bring the unbanked into a rapidly developing mobile financial services ecosystem. A financially included Indonesia is the future and it is happening now. Stephen Breen is a guest blogger on Mobile Money Asia and is one of the most passionate leaders in Mobile Money today laying the foundations for the industry in Asia Pacific. His passion for financial inclusion saw him develop products that helped reduce the cost of inbound international remittance to the South Pacific from c.30% to 5%*. He is now following his passion for Mobile Money with a global payments company based in Singapore.